Are you tired of staring at that damaged or discolored tooth at the front of your mouth? Dr. Ron Richardson & Associates may have the answer, and it comes in the form of dental crowns. As a trusted dentist office in Scarborough, ON, we offer crowns for cosmetic and restorative purposes so that our valued patients can enjoy their smiles while preserving their oral health. If we determine that you are a good candidate to receive a dental crown, we conduct the process over the course of two visits. During the first visit, we start by preparing the damaged tooth to make room for the crown. Then we take an impression mold of the tooth.  We use the impression to custom-make the crown (usually from porcelain or porcelain and gold) while fitting your tooth with a temporary crown between visits. Once the new crown is ready we will invite you back for a second visit, at which time we’ll make sure it’s a perfect fit. We then cement your new dental crown into place and advise you on proper oral hygiene techniques. What are the main issues corrected by a dental crown? At our office we make dental crowns from porcelain, Zirconium or gold, depending on the tooth in question and your preference. The advantage of porcelain is its similarity in colour to natural teeth, which allows for a seamless appearance. With proper care and attention to oral health, a porcelain dental crown can last more than 10 years. It’s important to remember that crowns aren’t as strong real teeth, so we recommend avoiding excessively hard foods. Crown failures usually involve porcelain fracture from abusing the crown or decay from poor oral hygiene. A crown on an implant cannot decay, as the implant is made out of titanium. Patients also have crowns replaced due to the crown eventually being too light. Remember, your teeth darken over time, but porcelain stays the same colour. Front crowns will obviously be more critical for colour matching and may require attention sooner.